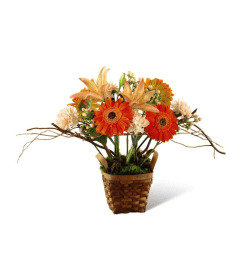 When you need to say everything and more, say it with the Bountiful Bouquet. An artful blend of sunflowers, roses and hypericum berries creates vibrant hues in one of our most remarkable bouquets. 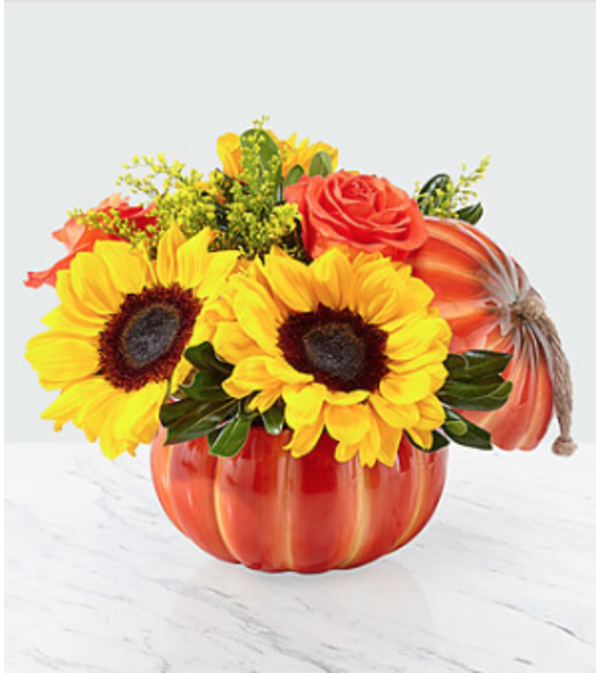 The blooms are arranged to perfection within a keepsake lidded ceramic pumpkin container. 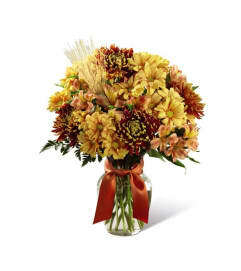 More importantly, it has everything that will leave a lasting smile on the recipient's face.